My Gear is a new series showcasing what members of the Vibram Powered community have equipped with them while they run, trek/hike, train, etc. This week, we're featuring Shane Van Rensen. Hey everyone, Shane aka UVSoaked here. So here's my gear that I use for many activities including: running, trekking, camping, etc. As you can probably already tell, "grellow" is one of my favourite colours. 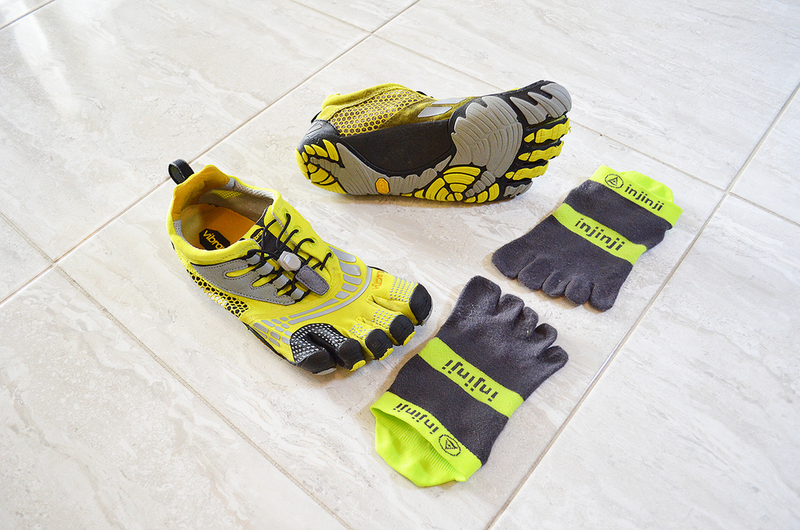 My Vibram FiveFingers KMD Sport LSs are one of my favourite running companions! They're so free-forming with its slim sole, so they allow the foot to be itself which also means I have to be a bit more careful when running on trails. Since roots and rocks aren't always the softest thing to land on, but eh! That just makes the run more fun! It's never as comfortable when I go without my Injinj toe socks. They help keep my shoes smelling to the best of the ability that they can, as well as keep my feet warmer with still having the right fabrics to wick sweat away to keep my feet dry and vented to stay cool. This is one of my best purchases for backpacks. It's the perfect size; not too small to pack water and some gadgets and not too big to slow me down too much. It comes packed with great quality and features within it. Dakine was really on the ball when they came up with this pack. As some of you may know already, I'm a die-hard Nike fan. Only because every thing I've owned with a swoosh on it has preformed and endured greatly. That, and their Twitter support is pretty decent! This is my Nokia Lumia 1020 which sports a brilliant camera which supports 41MP. Sure MP isn't everything, but you can be sure the rest of the camera specs match up. With part of my job having to do with social media and photography, this device works out perfectly for it. Small and compact, while still giving DSLRs a run for their money. Not to mention the features (plus the performance that comes with them) that it has compared to a regular camera. So it's nice to have access to Twitter, Facebook, Internet Explorer (the mobile version is actually good! ), or to edit the photos you just took, on the go. Not to say the battery life it bad with the 1020, but after taking a bunch of pictures during a hike while you're tracking your route with GPS, the battery can take beating, so it's always nice to have a portable charger around. Clif bars are simply awesome and convenient. They offer quite the nutrition for their size and are fairly cheap. They're great to have on the trail since you may never know when your stomach wants some attention. Surprise! Another Nike product! But eh, at least it's not clothing again! It's my don't-go-anywhere-without-it FuelBand. If I forget to put it on, my activity and movement will be dramatically reduced. If it's not being counted, why bother? But yes, this is my FuelBand, it measures and tracks my activity. If it wasn't for it, I don't think I would be where I am today [fitness wise]. It's been a great motivator to get me first going when I wasn't the athlete I am today. It's also nice to see number a the end of the day and to track your activity sessions (running, weight lifting, hiking, etc.). It also has the same feature as a watch has (it tells time!) and makes for a great handy little light in the dark. 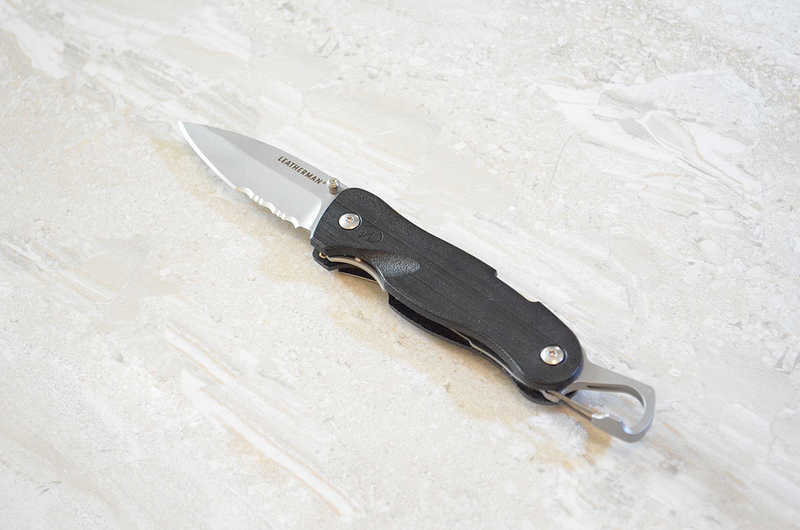 As someone who watches Survivorman, and takes day-long hikes, you can never overestimate the usefulness of a knife, specifically in the outdoors. In the Canadian wilderness, you never know what you might run into: bears, coyotes, Big Foot, etc. It's more than just a weapon though, it's also a great tool for creating shelters and so forth. Once again, watching Surviorman comes into save the day! If you ever find yourself lost, just cold to the bone, or even just relaxing out in the woods for the day/night, you can never go wrong with a fire. It's the best thing since... life? Moving on... This baby is so reliable, it can even work when it's been drenched in water. Can't argue with the classics, and that's what these are... to me at least. I've even lost count at how many times they've saved my eyes from branches/sticks. 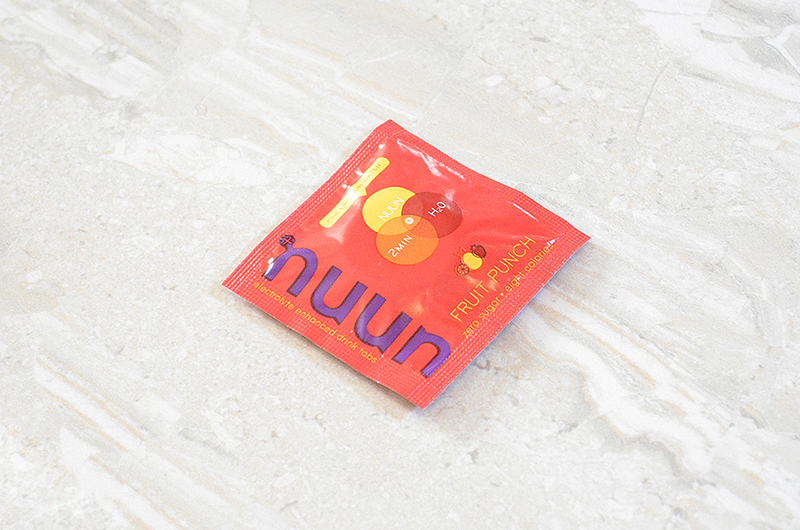 This is Nuun, a little tablet that you drop in water and let it have its 2 minutes of fame to dissolve and make your water have a nice flavour and to add more nutrients (electro-hydrates, etc.) to it. Sometimes the winter can still sneak into the spring or fall, so it's always nice to have some lip balm with you. It's even nicer if it's by Vibram! That's it for all I could think of while I gathered my gear up for this segment. If you have any questions about my gear, feel free to ask below in the comments section!